What Causes Platelets to Aggregate? Why Do Platelets Activate and Aggregate? 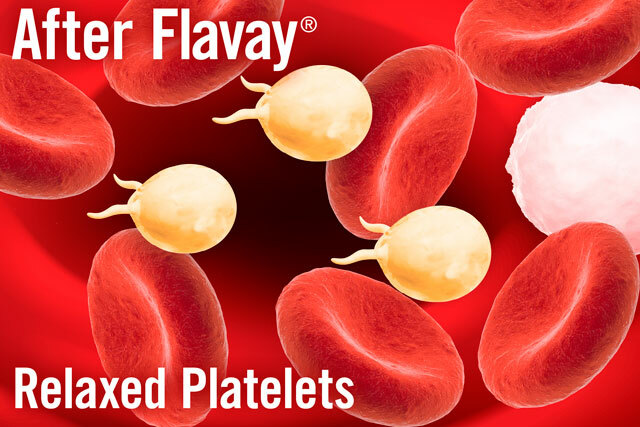 Flavay® is a better and a safe approach. Interestingly, the clinical studies show a single dose of 100 mg lasted 12 hours but a single dose of 200 mg protected the blood for longer than 24 hours. A double-blind, randomized, placebo-controlled intervention study with 28 male smokers with 200 mg per day of Flavay®. At baseline, after 4 and 8 weeks researchers measured macro- and microvascular function and a cluster of systemic biomarkers for major pathological processes occurring in the vasculature: disturbances in lipid metabolism and cellular redox balance, and activation of inflammatory cells. All body functions require good blood flow. 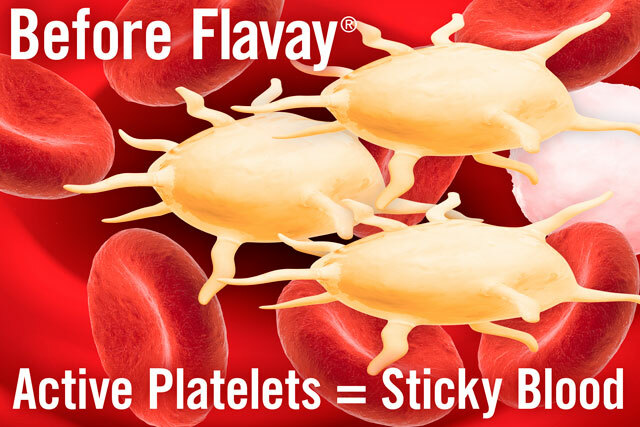 Feel and think better with Flavay®. 7. Passwater RA. The antioxidants: the nutrients that guard your body. Keats Pub., Inc. 1985. 9. Barilla J, et al. The nutrition superbook: volume 1: the antioxidants. Keats Pub., Inc. 1995. 10. Packer, L, et al. The antioxidant miracle: your complete plan. John Wiley & Sons, Inc. 1999. 14. Lombard, J. (board certified neurologist), et al. The brain wellness plan - breakthrough medical, nutritional and immune-boosting therapies to prevent and treat depression, alzheimer's disease, chronic fatigue syndrome, attention deficit disorder, multiple sclerosis, parkinson's disease, lou gehrig's disease. Kensington Pub. Corp. 1998. 18. Masquelier J, et al. Stabilization of collagen by procyanidolic oligomers. Acta Therap 7:101-5, 1981. 23. Robert AM, et al. Etude de l'action des oligomeres procyanidoliques sur des cellules mesenchymateuses en culture. II l'attachment des fibres elastiques aux cellules. (Study of the effect of procyanidolic oligomers on mesenchymal cells in culture II. Attachment of elastic fibers to the cells.) Pat Biol (30)6:601-7, 1990. 25. Kuttan R, et al. Collagen treated with catechin becomes resistant to the action of mammalian collagenase. Experientia, 37: 221-223, 1981. 33. Nuttall SL, et al. An evaluation of the antioxidant activity of a standardized grape seed extract. j Clin Pharm Ther 1998;23:135-40. 35. Kakegawa H, et al. Inhibitory effects of tannins on hyaluronidase activation and the degranulation from rat mesentry mast cells. Chem. Pharm. Bull. 33(11)5079, 1985. 36. Harmand MF, et al. The fate of total flavanolic oligomers extracted from 'vitus vinifera l.' in the rat. European Journal of Drug Metabolism and Pharmaccokinetics. 1978, No. 1 pp. 15-30. 47. Delacroix P. Etude en double aveugle de l'Endotelon dans l'insuffisance veineuse chronique. (Double-blind study of endotelon in chronic venous insufficiency.) Ther. La Revue de Medecine 31:1793-1802, 1981. 48. Thebault J, et al. Etude de l'Endotelon dand les manifestations fonctionnelles de l'insuffisance veineuse peripherique-resultats d'une etude en double aveugle portant sur 92 patients. (Study of endotelon in functional manifestations of peripheral venous insufficiency. Results of a double-blind study on 92 patients.) Gazette Medicale (Montr) 92:12, 1985. 49. Wegrowski J, et al. The effect of procyanidolic oligomers on the composition of normal and hypercholesterolemic rabbit aortas. Biochem Pharmacol 33:3491-7, 1984. 50. Chang WC, et al. Inhibition of platelet aggregation and arachidonate metabolism in platelets by procyanidins. Prostagland Leukotri Essent Fatty Acids, 38:181-8, 1989. 53. Fitzpatrick DF, et al. Endothelium-dependant vascular effects of french maritime pine bark extract. J Cardiovas Pharmacol 32:505-515, 1998. 60. Pfister, A., Simon, M.T., Gazave, J.M. Sites de fixation des oligomeres procyanidoliques dans la paroi des capillaires sanguins du poumon decobaye. Acta Therapeutica (8) 1982. pp. 223-237. 61. Kuttan, R., Donnelly, P., Di Ferrante, N. "Collagen treated with (+) -catechin becomes resistant to the action of mammalian collagenase." Laboratory of Connective Tissue Research, Dept. of Biochem. Baylor Col. of Med., Houston TX. 28, May, 1980. 63. Corbe C, et al. Light vision and chorioretinal circulation. Study of the effect of procyanidolic oligomer (Endotelon). Jn. Fr. Ophthalmol, (11)5:453-460, 1988. 64. Boissin JP, et al. Chorioretinal circulation and dazzling: use of procyanidol oligomers (Endotelon). Bull Soc Ophtalmol Fr, 88(2):173-4, 177-9, 1988. 65. Proto F, et al. Electrophysical study of vitis vinifera procyanoside oligomers effects on retinal function in myopic subjects. Ann Ott Clin Ocul, 114:85-93, 1988. 69. Verin MM, et al. Retinopathies et O.P.C. Bordeaux Medicale, (16)11. pp. 1467-74, 1978. 70. Soyeux A, et al. Endotelon, diabetique et hemorhelogie. (Diabetic retinopathy and hemorheology.) Bull Soc Ophtalmol Fr. 87(12):1441-4, 1987. 71. Froantin M. Les oligomeres procyanidoliques dans le traitement de la fragilite capillaire et de la retinopathie chez les diabetiques. A propos de 26 cas. (Procyanidolic oligomers in the treatment of capillary fragility and retinopathy in diabetics.) Med Int 16:432-434, 1981. 72. Arne JL. Contribution a l'etude des oligomeres procyanidoliques: Endotelon, dans la retinopathie diabetique (a propos de 30 observations). Gaz. Med. de France, Vol. 89, No. 30, Oct. 8, 1982. 74. Rao CN, et al. Influence of bioflavonoids on the collagen metabolism in rats with adjuvantinduced arthritis. Ital J Biochem. 30:54-62, 1981. 78. Masquelier J. Action protectrice du vin sur l'ulcère gastrique. Recherches subventionnées par la Conseil Interprofessional du Vin de Bordeaux. 59-62. 81. Masquelier, J. Procyanidolic oligomers (leucocyanidins). Parfums Cosmet Arom 1990;95:89-97. 82. Pecking A, et al. Oligomeric proanthocyanidins (Endotelons) in the treatment of post therapeutic lymphedema of the upper limbs. Association de Lymphologie de Lange Francaise Hospital Saint-Louis, Paris 69-73, 1989. 83. Laparra J, Michaud J, Masquelier J. Action des oligomeres procyanidoliques sur le cobaye carence en vitamine c. Travaux Originaux, Laboratoire de Matiere Medicale, Faculte de Phamacie de Bordeaux, University of Bordeaux, 1979. 102. Cahn J, et al. Etude de L'administration d'oligomeres procyanidoliques chez le rat. (Administration of procyanidolic oligomers in rats. Observed effects on changes in the permeability of the blood brain barrier.) Semaine des Hopitaux 59:2031-4, 1983. 103. Rohdewald, P. Pycnogenol. Flavonoids in Health and Disease (Rice-Evans C and Packer L, eds.) Dekker, New York. 1998;404-419. 185. Schafer A, et al. Inhibition of COX-1 and COX-2 activity by plasma of human volunteers after ingestion of French maritime pine bark extract. Biomed Pharmacother 2006; 60: 5–9. 202. Packer L, et al. Antioxidant Food Supplements in Human Health, Academic Press, CA, 1999. 203. Lincoln J, et al. Nitric Oxide in Health and Disease, Cambridge University Press, UK, 1997. 204. Moncada S, et al. Nitric Oxide and the Cell: proliferation, differentiation and death, Princeton University Press, NJ, 1998. 205. Amsellem, et al. Endotelon dans le traitement des troubles veino-lymphatiques dy syndrome premenstrual. Etude multicentrique sur 165 patientes. (Endotelon in the treatment of venolymphatic problems in premenstrual syndrome, a multicentered study on 165 patients.) Tempo Medical November:282, 1987. 230. Bombardelli, E. Vitis vinifera L. Fitoterapia, 66:291-317, 1995. 232. Black P. Psychoneuroimmunology. Brain and immunity. Scientific American 1995 Nov-Dec: 16-25. 233. Fabris N, et al. Neuroimmunomodulations: the state of the art. Ann NY Acad Sci 1994; Vol 741. 234. Jankovic BD, et al. Neuroimmune interactions. Ann NY Acad Sci 1987; Vol 496. 235. Snyder S. Nitric oxide: first in a new class of neurotransmitter. Science 1992 Jul; Vol 253. 236. Streight WJ, et al. The brain's immune system. Sci American 1995 Nov; 273(5):54-56. 240. Beal MF. Aging, energy and oxidative stress in neurodegenerative diseases. Ann Neurol 1995 Sept; 38(3):357-68. 241. Palmer AM, et al. Selective increase in lipid peroxidation in the inferior temporal cortex in Alzheimer's disease. Brain Res 1994; 645:338-47. 242. Steinman L. Autoimmune disease. Sci Amer 1993 Sept;107-14. 248. Stamatovic SM, et al. Brain endothelial cell-cell junctions: how to "open" the blood brain barrier. Curr Neuropharmacol. Sep; 6(3): 179–192, 2008. 257. Kingsley M, et al. Effects of phosphatidylserine supplementation on exercising humans. Sports Med (2006) 36:657-669. 260. Bouhamidi R, et al. High protection by grape seed proanthocyanidins (GSPC) of polyunsaturated fatty acids against UV-C induced peroxidation. C R Acad Sci III 321:31-8, 1998. 261. Virgili F, et al. Procyanidins extracted from pine bark protect alphatocopherol in ECV 304 endothelial cells challenged by activated RAW 264.7 macrophages: role of nitric oxide and peroxynitrite. FEBS Lett 1998;431:315-318. 262. Moriconi S, et al. Clinical study on activity of vitis vinifera procyanidolic oligomers on myopic patients retinic sensitivity. Ann Ottal Clin Ocul 114:585-94, 1988. 263. Fusi L, et al. Procyanidolic oligomers effects in patients working at a display unit. Ann Ottal Clin Ocul 116:575-84, 1990. 265. Fitzpatrick DF, et al. Endothelium-dependent vascular effects of procyanidins. J Cardiovasc Pharmacol 32:509-15, 1998. 267. Gavignet C, et al. Study of the influence of procyanidolic oligomers on cultured mesenchymal cells. I - Effect on the attachment, the proliferation and detachment of cells. Path Biol 37:746-53, 1989. 268. Robert L, et al. Action of procyanidolic oligomers on vascular permeability. A study by quantitative morphology.Path Biol:6, 1990. 271. Bagchi D, et al. Oxygen free radical scavenging abilities of vitamins C and E, and a grape seed proanthocyanidin extract in vitro. Res Commun Mol Pathol Pharmacol 95:179-89, 1997. 272. Bagchi D, et al. Protective effects of grape seed proanthocyanidins and selected antioxidants against TPA-induced hepatic and brain lipid peroxidation and DNA fragmentation, and peritoneal macrophage activation in mice. Gen Pharmacol 30:771-6, 1998. 273. Facino RM, et al. Free radicals scavenging action and antienzyme activities of procyanidines from Vitis vinifera. A mechanism for their capillary protective action. Arzneimittelforschung 44:592-601, 1994. 274. Facino RM, et al. Sparing effect of procyanidins from Vitis vinifera on vitamin E: in vitro studies. Planta Med 64:343-347, 1998. 275. Facino RM, et al. Procyanidines from Vitis vinifera seeds protect rabbit heart from ischemia/reperfusion injury: antioxidant intervention and/or iron and copper sequestering ability. Planta Med 62:495-502, 1996. 276. Simonetti P, et al. Procyanidins from Vitis vinifera seeds: in vivo effects on oxidative stress. J Agric Food Chem 50:6217-6221, 2002. 277. Preuss HG, et al. Effects of niacin-bound chromium and grape seed proanthocyanidin extract on the lipid profile of hypercholesterolemic subjects: a pilot study. J Med 31:227-246, 2000. 282. Noda Y, et al. Hydroxyl and superoxide anion radical scavenging activities of natural source antioxidants using the computerized JES-FR30 ESR spectrometer system. Biochem Mol Biol Int 1997;42:35-44. 283. Sato M, et al. Cardioprotection with alcohol: role of both alcohol and polyphenolic antioxidants. Ann N Y Acad Sci 957:122-135, 2002. 284. Natella F, et al. Grape seed proanthocyanidins prevent plasma postprandial oxidative stress in humans. J Agric Food Chem 50:7720-7725, 2002. 292. Packer L, et al. Antioxidant activity and biologic properties of a procyanidin-rich extract from pine (Pinus maritima) bark, procyanidins. Free Radic Biol Med 27:704-24, 1999. 295. Hertog MG, et al. Dietary antioxidant flavonoids and risk of coronary heart disease: the Zutphen Elderly Study. Lancet 342:1007-11, 1993. 296. Constant J. Alcohol, ischemic heart disease, and the French paradox. Coronary Artery Disease 8:645-9, 1997. 299. Bagchi M, et al. Smokeless tobacco, oxidative stress, apoptosis, and antioxidants in human oral keratinocytes. Free Radic Biol Med 26:992-1000, 1999. 301. Virgili F, et al. Procyanidins extracted from Pinus maritima: scavengers of free radical species and modulators of nitrogen monoxide metabolism in activated murine RAW 264.7 macrophages. Free Radical Biology & Medicine 1998;24:1120-9. 302. Fitzpatrick DF, et al. Isolation and characterization of endothelium dependent vasorelaxing compounds from grape seeds. J Agric Food Chem 48:6384-6390, 2000. 303. Saito M, et al. Antiulcer activity of grape seed extract and procyanidins. J Agricult Food Chem 46:1460-64, 1998. 304. S Iravani1, et al. 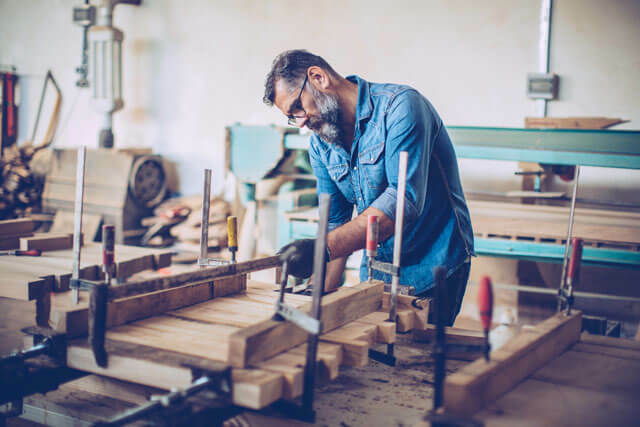 Pharmaceutical and nutraceutical effects of Pinus pinaster bark extract. Res Pharm Sci. Jan-Jun; 6(1): 1–11, 2011. 305. Cho KJ, et al. Effect of proanthocyanidins extracted from the bark of Pinus maritime on proinflammatory cytokine interleukin-1 production in lipopolysaccharide-stimulated RAW 264.7. Toxicol Appl Pharmacol. 168:64–71, 2000. 306. Park YC, et al. Activity of monomeric, dimeric, and trimeric flavanols on NO production, TNFalpha secretion, and NF-kappaB-dependent gene expression in RAW 264.7 macrophages. FEBS Lett. 465:93–97, 2004. 307. Banerjee B, et al. Beneficial effects of a novel IH636 grape seed proanthocyanidin extract in the treatment of chronic pancreatitis. Digestion 63:203-206, 2001. 308. Liu FJ, et al. Proanthocyanidins enhances immune and haemopoietic functions in senescence-accelerated mice. Cell Mol Life Sci 54:1168-72, 1998. 347. Cutler RG. Aging and Oxygen Radicals. In Physiology and Oxygen Radicals, Clinical Monograph Series. Bethseda, Md. : American Physiology Society; 1986:251-285. 348. Cutler RG. Human longevity and aging: possible role of reactive oxygen species. Annals of the NY Academy of Sciences, 1991;621:1-28. 349. Floyd R. Role of oxygen free radicals in carcinogenesis and brain ischemia. Federation of American Societies for Experimental Biology Journal 1990;4:2587-2597. 350. McCord JM. Oxygen-derived free radicals in postischemic tissue injury. New England Journal of Medicine, 1985;312(3)159-163. 351. Proctor PH, et al. Free radicals and disease in man. Physiological Chemistry and Physics, 1984;16:175. 353. Haas HL, Sergeeva OA, Selbach O. Nuutinen S, Panula P. Histamine in neurotransmission and brain diseases. Adv Exp Med Biol. 2010;709:95-107. 355. Rahman K. Studies on free radicals, antioxidants, and co-factors. Clin Interv Aging. 2007 Jun; 2(2): 219–236. 356. Harman D. Ageing: a theory based on free radical and radiation chemistry. J Gerontol. 1956;2:298–300. 357. Blazso G, et al. Anti-inflammatory and super oxide radical scavenging abilities of procyanidins containing extract from the bark of pinus pinaster sol. and its fractions. Pharm Pharmacol Lett 1994;3,217-220. 360. Elstner EF, et al. Radical scavenger properties of leucocyanidine. In Flavonoids in Bio and Medicine III Current Issues in Flavonoid Research. Natl Univ of Singapore Press, Singapore. 1990;N.P. Das, ed.:227-235. 361. Wei ZH, et al. Procyanidins enhances endothelial cell antioxidant defences. Redox Rep. 1997;3:147-155. 366. El-Alfy AT, et al. Amelioration of the cardiovascular manifestations of the yellow scorpion Leiurus quinquestriatus envenomation in rats by red grape seeds proanthocyanidins. Toxicon. 2008 Mar 1;51(3):321-33. 367. Casas-Tinto S, et al. The endoplasmic reticulum (ER) stress factor XBP1s prevents amyloid-β neurotoxicity. Hum Mol Genet. 2011 Jun 1; 20(11): 2144–2160. 368. El-Alfy AT, et al. Protective effect of red grape seeds proanthocyanidins against induction of diabetes by alloxan in rats. Pharmacological Research. 2005;52:3(Sep)264-270. 369. Packer L, et al. Antioxidant activity and biologic properties of a procyanidin-rich extract from pine (pinus maritima) bark. Free Radical Biology and Medicine. 1999;27(5-6)Sep:704-724. 371. Mansouri E, et al. Effects of grape seed proanthocyanidin extract on oxidative stress induced by diabetes in rat kidney. Iran Biomed J. 2011;15(3):100-6. 372. Kolacek M, et al. Effect of natural polyphenols, on superoxide dismutase and nitric oxide synthase in diabetic rats. Prague Med Rep. 2010;111(4):279-88. 373. Sun Y, et al. Grape seed proanthocyanidin extract protects the retina against early diabetic injury by activating the Nrf2 pathway. Exp Ther Med. 2016 Apr; 11(4): 1253–1258. 377. Basic Neurochemistry: Molecular, Cellular and Medical Aspects. 6th ed. Siegel GJ, Agranoff BW, Albers RW, et al., editors. Philadelphia: Lippincott-Raven; 1999. 379. Francis CL, et al. The beneficial effects of fruit polyphenols on brain aging. Neurobiology of Aging 26S(2005)S128–S132. 380. Esch T, et al. Stress-related diseases—a potential role for nitric oxide. Med Sci Monit 2002;8:RA103–18. 381. Hensley K, et al. Brain regional correspondence between Alzheimer's disease histopathology and biomarkers of protein oxidation. J Neurochem 1995;65:2146–56. 382. Hensley K, et al. Electrochemical analysis of protein nitrotyrosine and dityrosine in the Alzheimer brain indicates region-specific accumulation. J Neurosci 1998;18:8126–32. 383. McGeer PL, et al. Inflammation and neurodegeneration in Parkinson's disease. Parkinsonism Relat Disord 2004;10(Suppl. 1):S3–7. 384. Rogers J, et al. Inflammation and Alzheimer's disease pathogenesis. Neurobiol Aging 1996;17:681–6. 454. Weseler AR, et al. Pleiotropic benefit of monomeric and oligomeric flavanols on vascular health--a randomized controlled clinical pilot study. PLoS One. 2011;6(12):e28460. doi: 10.1371/journal.pone.0028460. Epub 2011 Dec 8.